You Don't Have to Be a Professional Chef to Cook Like One. Especially if you know a little secret: Royal® Chef’s Secret. This is the world’s longest basmati rice grain, expanding up to 2½ times its raw length (up to 23 mm) when cooked. 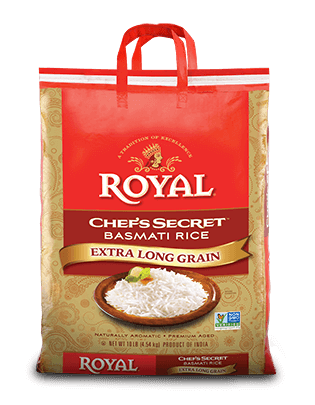 With its brilliant white luster, fragrant aroma and distinctive buttery flavor, Royal Chef’s Secret Basmati Rice is a culinary showstopper. For curries, pilafs, stir-fries or as a side, it is always delicious and dazzling. 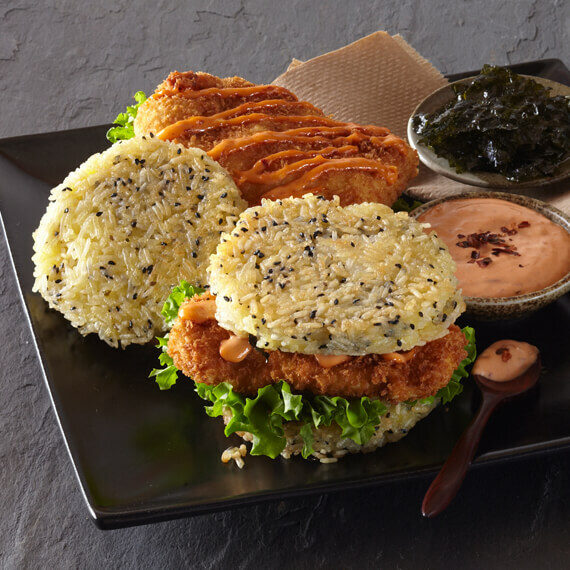 Professional chefs love to cook with this rice, and always value its taste, texture, and appetizing appearance on the plate. We’re sure you will, too. 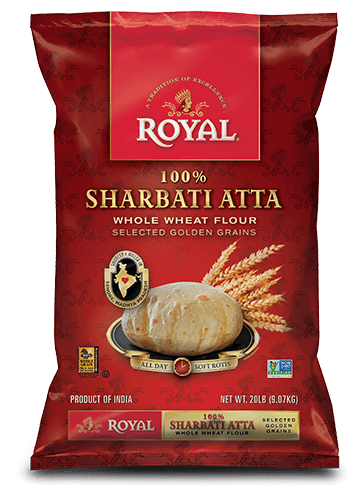 Stove Top: Take 1 cup of Royal® Chef’s Secret Basmati Rice and gently rinse twice. Boil 1½ cups of water. Pour the drained rice into the boiling water. Once cooking starts, stir gently and cover with lid. Cook the rice on medium to low flame for 12-14 minutes or until all the water has been fully absorbed. Once the cooking process is complete, leave the cooked rice in the pan for 5-10 minutes. Serve. Microwave: Take 1 cup of Royal® Chef’s Secret Basmati Rice and gently rinse twice, then drain. Add 1½ cups of fresh water. Cook in a microwave-safe bowl on medium for 15 minutes*. Let stand for 5 minutes before serving. If rice is too hard in the first cooking, use more water. Use less water if it is too soft.